Whatever the situation, SLD will respond 24/7 to any emergency pumping or power requirement. Many clients regard SLD as the fourth emergency service, having come to rely on their local depot to assist in times when mechanical breakdowns or adverse weather create problems. Our knowledgeable pump people have a genuine desire to help out. As flooding becomes an increasing problem across the UK, SLD are in a position to quickly and effectively relieve flood situations either for a short term flash flood or for a long term flooding problem. 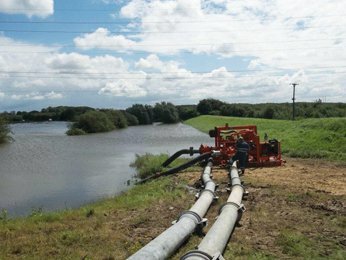 Our fleet of specialist pumps, 24/7 response and experienced staff ensures we can provide flood management in what is a difficult and often distressing situation. SLD has co-operated with the ENA, Water Authorities and Public Utilities in alleviating Emergency Flood situations.